This Post has already been read 1749 times. Ufone GSM celebrates its 11th anniversary with grat passion. Cacking cutting celebration was held in all over the Pakistan on 30th January. 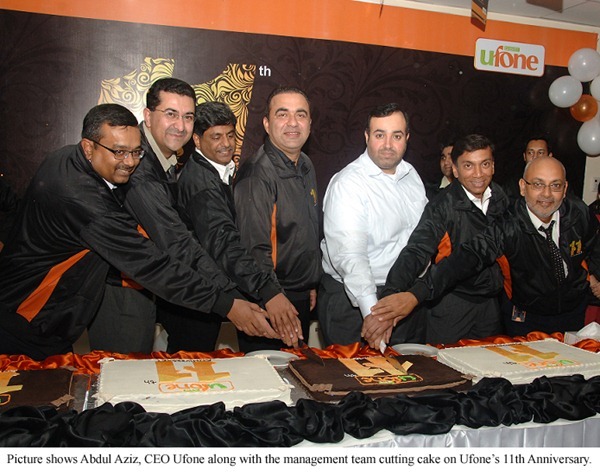 Ufone CEO, Abdul Aziz congratulated the Ufone family on successfully completing 11 years of achievement.